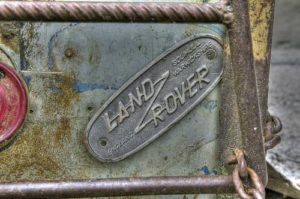 The Land Rover Defender was a practical SUV available in the United States for a short time. It was one of the most adaptable vehicles produced in a variety of body styles which included a chassis cab and a hardtop with three doors. Land Rover is debating what the next step for the Defender will be. The <u>What Car</u> publication states that a new Defender pickup will be produced in 2017. It will compete with the Amarok by Volkswagen and the Ford Ranger instead of the functional vehicles from Toyota, Nissan and Mitsubishi. The 2017 date is questionable. The high-priced defender was last mentioned at the Los Angeles Auto Show in 2011. At this time, Land Rover was showcasing the DC100 model when the replacements for Land Rover Defenders where not going to be sold until 2016. Ultimately, the variations of this model will not be ready until 2020. The production will be influence by the competition from the 2015 Chevrolet Colorado which will roll off the production line during the third quarter of 2014 and from other manufacturers of trucks sold around the globe. Another issue is the 25 percent tax that the United States levies on imported vehicles. The Congressional repeal of this import tax would encourage the import of the new Defender. There remains the question of whether this new Defender pickup will be imported from England or only the standard model being shipped.